Suit Sale | Cheap Suits. 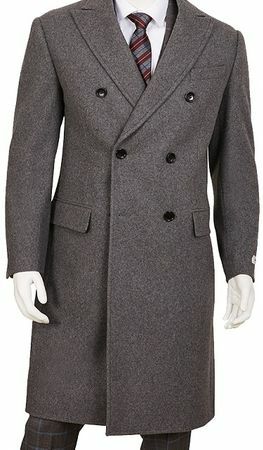 Mens wool double breasted overcoats have that timeless style that just plain works year after year. Since it's gray, you can pretty much wear this grey wool double breasted overcoat with anything and everything in your wardrobe. The color gray naturally goes with navy blue color suits and black as well. It's all about how You make it happen. CONTEMPO VIP CLUB ! Sign Up and SAVE !! And/Or enter your cell phone number to receive text alerts (no more than 1 per week). Copyright 2019 ContempoSuits.com All Pictures, Descriptions and Content are Property of ContempoSuits.com and May Not Be Used. ContempoSuits.com is a Subsidiary of Contempo Fashions Inc. 1112 Main Street Bridgeport,CT 06604 Phone Number 1-800-561-1708.